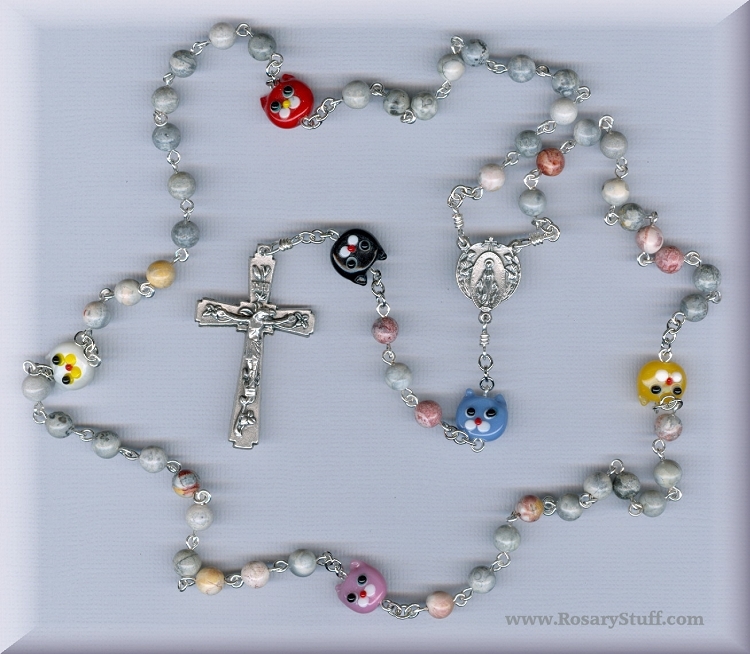 This adorable, Mexican Sky Eye Jasper stone rosary is made from real stone and silver plate parts. The color of this type of jasper varies between shades of gray, pink, yellow and combinations there of. Yours may vary slightly from the picture depending upon the string of beads used. You can click here to see a close up of the center and crucifix. BEADS: 6mm Mexican Sky Eye Jasper stone Aves with 8mm handmade, multi-colored lampwork Kitty Cat Pater beads.